Mohammad and his four children left Syria in 2013. At home in Joubar, Syria, he had his own business as an aluminium presser until his workplace and his community were destroyed. Refugees like Mohammad need aid to meet their emergency needs, but long-term solutions are also needed to transition informal camps into secure and productive communities. Displaced populations face a lot of obstacles — few traditional financial institutions are willing to serve them because lending to refugees is considered risky, and there can be resentment from local residents who worry refugees will compete for resources or overwhelm the government. Because of this, refugees often aren’t able to establish small businesses, create savings accounts or invest in income-generating ventures despite their desire to work and contribute. That’s where compassionate everyday people can make a huge difference. 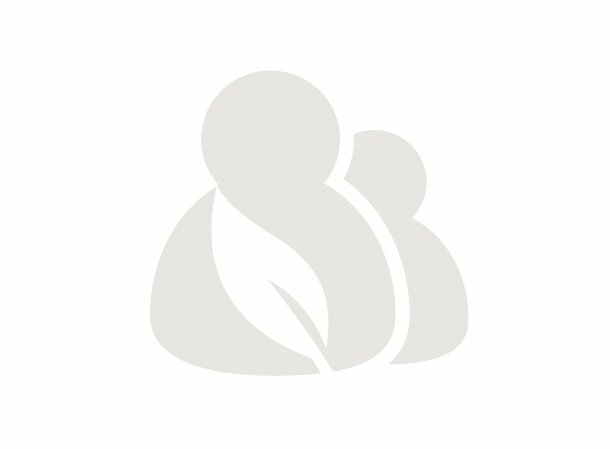 Kiva lenders around the world crowdfund loans, $25 at a time, to refugees, displaced peoples and the communities that host them. Kiva helps families gain access to credit and financial services that can create jobs and better livelihoods, while also supporting the host communities. 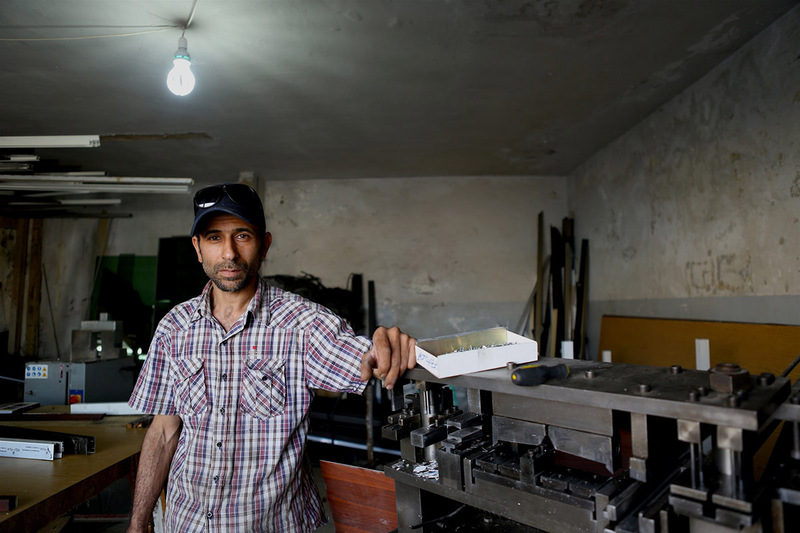 When Mohammad first fled to Lebanon, he did whatever work he could find in factories. Then, he began to set up his own shop, renting an aluminium pressing machine to continue his craft. He took out a loan through Kiva’s Field Partner, Al Majmoua, one of the few finance institutions that works with Syrian and Palestinian refugees. The $1,000 loan, supported by 36 Kiva lenders, combined with his other savings, helped Mohammad buy his own machine, eliminating rental expenses and increasing his profit margins. He hopes to take out another loan soon to scale his production and send all his children to school. Refugees are considered high-risk because of their limited or inaccessible credit history, few fixed assets for collateral and unknown futures. One of the reasons Kiva lenders’ capital is so game-changing in this crisis is that it’s risk tolerant, helping financial institutions reach clients who are higher risk, such as refugees. The Kiva Field Partner who worked with Mohammad, Al Majmoua, also uses a group loan model as a way to reduce risk and offer services to more refugees. Some of the groups also include a Lebanese citizen, to help foster collaboration between refugees and host communities. While each group member receives their own loan, the group is responsible for every member’s repayment. This creates joint responsibility; if one member defaults, the others are accountable for the repayment of the loan. Not only does this encourage members to succeed themselves, it also inspires them to support their group members. 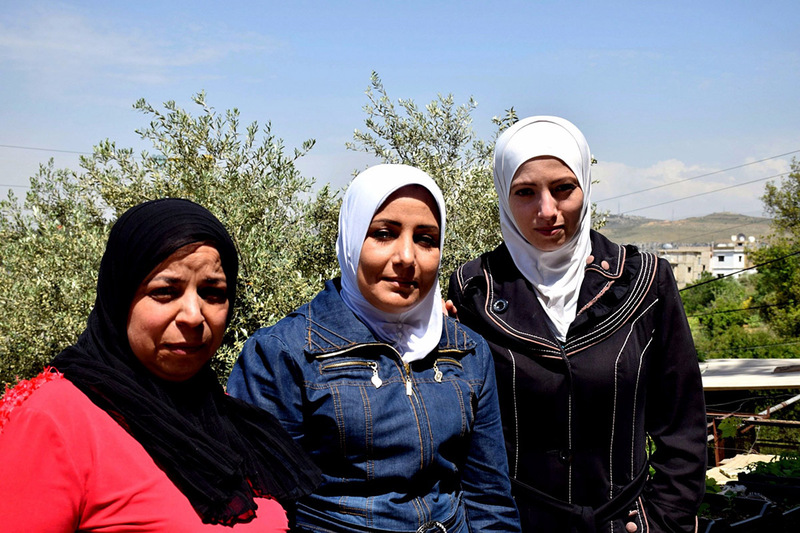 One of Al Majmoua’s group loans consists of Iman, Nadia and Wisam, 3 Syrian refugees living as neighbors in Lebanon. Together, they took out a loan to help develop their professions and to support their families in a new country. During the war, Nadia, her husband and their 4 children fled from their home to Alay, in Lebanon, but had to spend most of their life savings bribing government officials guarding the border. When they reached Alay, they weren’t able to afford many of the upfront costs of living. 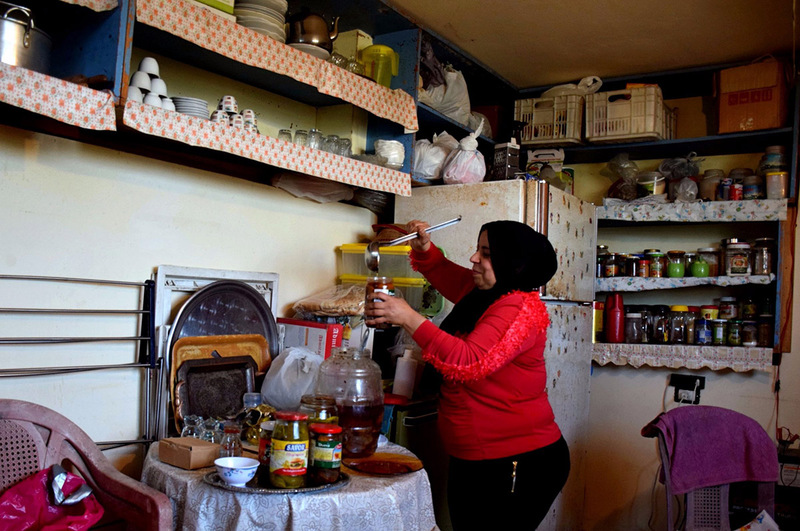 Their neighbors, Iman and Wisam, faced similar concerns with the high costs of living in Lebanon, as both Iman and Wisam’s husband had illnesses that prevented them from working. The 3 women learned about Al Majmoua from a woman in their community and decided to take a loan together. “Our situation has improved a lot since I took out the loan, our situation is good now. The loan enabled us to have a sum of money with which to pay our expenses, like medical expenses,” Nadia happily relates. Now, Iman is able to teach Syrian children in her home through a local nonprofit and, also, cooks and pickles for her Lebanese neighbors. Wisam’s husband is healthier again and both are working to pay back the loan. While loans only address one aspect of the refugee crisis, it’s critical that everyone has the opportunity to invest in themselves and their futures, and create a stable life for their families. Moreover, financial exclusion of any significant portion of the population leads to a situation where both refugees and Lebanese citizens suffer. If a quarter of the population is unable or not allowed to formally work, the economy becomes strained and tensions rise. In order for the Lebanese economy to stabilize and thrive, the refugee population must have access to finances. Al Majmoua works with any person in need, regardless of their citizenship status or nationality, and Kiva lenders are helping them expand this work. The vast majority of their clients are women and they are one of the few microfinance institution in the area that works with refugee communities. It’s unknown if these refugees will stay in Lebanon or return to their homelands, once the violence has stopped. But if they do return, they’ll bring their business expertise and acquired skills to help rebuild their country. And if they stay, they will have contributed to Lebanon’s resiliency and strength.